Private hideaway in wild garden. Property 4: Private hideaway in wild garden. Property 12: Norfolk Broads Chalet in Stalham Pet friendly - one dog & close to river. Property 20: Attractive Timber Chalet In The Upper Tanat Valley. Sleeps 4. Well located chalet in Sandown pet friendly. Beach within 5 mins walk away. Property 21: Well located chalet in Sandown pet friendly. Beach within 5 mins walk away. Comfortable bungalow in 100 acres of woodland, near St.Ives. Property 30: Comfortable bungalow in 100 acres of woodland, near St.Ives. Modern Holiday Home a Few Minutes Walk from Beautiful Beach. Property 35: Modern Holiday Home a Few Minutes Walk from Beautiful Beach. Willows Wisp - Beach & sea views, quiet location, pet friendly! Property 36: Willows Wisp - Beach & sea views, quiet location, pet friendly! Property 38: Spacious 3 bedroom chalet 100 yards from the sea ideal for families. 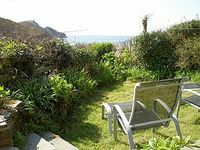 2 bed chalet situated on the beautiful north Cornwall coast. Property 46: 2 bed chalet situated on the beautiful north Cornwall coast. We had a great break away in the lodge. Rod was a fantastic host and was so helpful and kind. 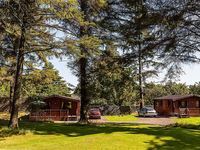 We thoroughly enjoyed our stay, a great place to explore the lakes with our toddler and would love to stay again! Quiet quaint little cottage by the sea. Had an enjoyable time and the views were fantastic.